Friends & Family welcome to attend an evening of reflection by three lecturers which will cover a synopsis of the marine art market, a lecture on technique from one of our artists, and more. Family & Friends welcome to attend an opening for our 19th C. & nautical antiques exhibit. Summer Party at the Mariner Gallery. Have a drink (or two) on us, enjoy the night looking at beautiful art by local artists. Please join us 5:00 - 8:00pm at our flagship gallery - 267 Spring St, Newport, RI 02840. Viewing hours will be held 1:00 - 8:00pm or by appointment at 401.236.2454. Please join us 5:00 - 8:00pm at our flagship gallery - 267 Spring St, Newport RI, 02840. Viewing hours will be held 1:00 - 8:00pm or by appointment at 401.236.2454. Please join us 5:00 - 8:00pm at our flagship gallery - 267 Spring St, Newport RI, 02840. Viewing hours will be held 12:00 - 8:00pm or call 401.236.2454 to make an appointment. 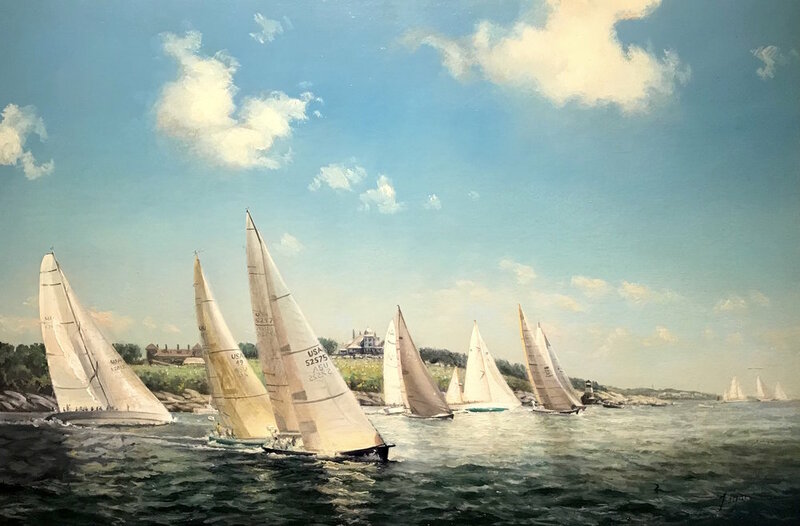 Please join us for drinks and hors d'oeuvres at our spring cocktail reception from 5:00 - 8:00pm at our Greenwich Gallery - 121 East Middle Patent Rd, Greenwich, CT 06831. Viewing hours will be held 1:00 - 5:00pm from May 6 - 8th or by appointment - 203.274.6176. Friends and family are most welcome! Please join us for drinks and hors d'oeuvres at our holiday cocktail reception from 4:00 - 8:00pm at our Greenwich Gallery - 121 East Middle Patent Rd, Greenwich, CT 06831. Viewing hours will be held 12:00 - 5:00pm from December 3rd - 6th. Or call 203.274.6176 to make an appointment. Friends and family are most welcome!